We all know that games can change a lot over the years, and many different titles influence future ones. However, having been gaming for as long as I have (35 years and counting), it is always fascinating to me to play and compare games from early in a series to later. Usually I can find a laundry list of improvements that make it clear just how far video games have progressed. However, many times I also come away with the realisation that while the game may indeed change, a series is at its best when it remembers what made it special in the first place. When looking at a game series that spans decades, too often people get hung up on the superficial things. Of course the graphics, music and sound are better. Certainly there is more processing power that allows for deeper gameplay. Controllers have come a long ways also, and give us more inputs and more forms of feedback through rumbling or light. These are well and good to note, but when I am comparing titles like this that have roughly two and a half decades between them, I am looking for something a little more substantial. Sometimes that something more simply isn't there and I realise that you basically have the same game years later with a prettier package. Sometimes I sit with a title like Nobunaga's Ambition and realise that it has grown a great deal because it changes its focus over time, giving us an increasingly granular look into the time period, and increasingly complex management of both the domestic and military development of the era. 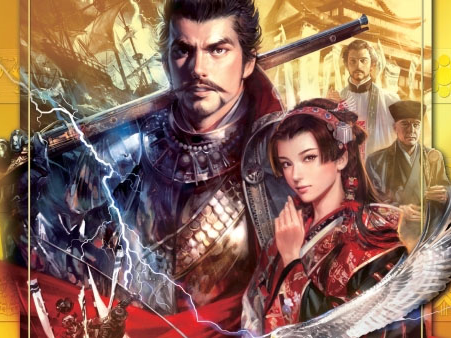 If you read Matt's excellent review of the recently released Nobunaga's Ambition: Sphere of Influence - Ascension (and if you haven't, you really should. Go, this article will be here when you get back), you have a really good idea of how the game itself plays. There is an intriguing mix of real-time strategy and turn-based governing decisions that play out heavily through menus. You have a significant hand in developing the land and creating a thriving city that grows over time into something potentially quite special. You adapt, you improve and you wage war during the Sengoku period of Japan's history. At its core, Nobunaga's Ambition has always been about these things, but the series has obviously taken some incredible strides since I first played the original about thirty years ago. For me, Nobunaga's Ambition will always have a special place in my heart because it was my first true strategy game, and I had never experienced anything like it. The only reason I had a chance to play it, is that most Fridays my dad would come home from work and rent me a video game from the local video store for the weekend and grab a couple of pizzas for the family. I was notorious for beating games very quickly on my NES, so he had decided it was fiscally smarter to rent a game for two nights at a fraction of the cost as opposed to buying me new ones. This gave me a chance to try a wide number of games, and he tried to get me ones he didn't think I had played before. When Nobunaga's Ambition came out, its unique name and box convinced him to grab it for me. I had no idea what to think, as I had never heard of the game before. In some ways, it was a terrible game to rent. Why? Because two nights was clearly not going to be enough time, so I saved up some money from mowing laws and bought it outright a couple of weeks later, and thus began a decades long love affair with Koei historical strategy games. I knew nothing about the Sengoku period of Japan's history, but the instruction booklet for the game and the contents of the game itself were enough to get me interested enough in it that it became a topic of several papers in school over the coming years as I eagerly began to learn about it. There was however, probably the biggest disconnect between the original game and the newer ones. Nobunaga's Ambition on the NES was a very high level affair. Generals were non-existent, you only worried about leaders, and even then they were a collection of stats with nothing unique about them aside from name and portrait. The original NES Nobunaga's Ambition was a deep game by the console's standards back then. I included a very short video showing off the gameplay, which is heavily menu driven. Essentially it becomes about building up your province by protecting it from floods, increasing food and money production, all so you can build a bigger, more powerful army. The biggest monkey wrenches come in the form of random events and enemy attacks. Plague, floods and more can cause a fief no end of trouble as you try to amass the resources necessary to win in battle. Combat was an almost comically simple affair compared to today's games in the series. To some extent, I do miss the truly turn-based combat of the older Koei games. I would absolutely love to see a Koei Tecmo strategy game that completely does away with the real-time/passage of time gameplay and try something strictly turn-based. I know that is not for everyone, but it might be an opportunity for them to dust off some of their other properties that I spent many hours with such as Bandit Kings of Ancient Chna, Genghis Khan, L'Empereur or Gemfire. I included a short gameplay video with this article that shows off just about everything you need to know about the original game. You have a basic menu on the right, with lots of numbers you can impact on a month-by-month basis. Combat basically consists of units that can move or attack. Terrain is a factor, type of unit can be a factor, but combat really is mostly going to boil down to who has the biggest army. This creates a risk versus reward scenario with any offensive, because you have to decide how many troops you need to win and weigh that against how many you want to leave behind to protect the fief they came from. This is a far cry from the way you grow your cities now, managing many more elements than the original games put on your plate. Combat is obviously a much more robust affair as well, with different types of units, special abilities and more. However, for me the most notable change is in not the visuals, the menus or the depth of combat, but the characterisation. With so many characters available in Nobunaga’s Ambition: Sphere of Influence - Ascension there are of course many similarly designed characters. It would be impossible not to have characters with similar appearances or stats, but the key here is that the game really does focus heavily on characters. There are some aspects of near-role-playing here that is completely absent in the earlier games. In those you would assume the mantle of leader, but you are managing a fief and its resources - after you roll your initial character it is never really about him again, at least not until his age becomes a factor that could cause him to die. In the video clips I included of the newer game, you will note that in both the fictionalised and historical scenarios, there is a great deal of text. That text is put to use to help tell a story, to set the stage and introduce important characters. At its core Nobunaga's Ambition has always been about strategy, both in city management and on the battlefield, but the biggest improvement to the series is how it has begun to hone in on the characters in recent years. That has always been the most significant difference between Nobunaga's Ambition and Romance of the Three Kingdoms. Even on the NES I appreciated Romance of the Three Kingdoms more because it put more of a focus on its characters. Obviously the level of depth these character interactions can go has improved with that series over the years, but I find it interesting that with its latest release, Nobunaga’s Ambition: Sphere of Influence - Ascension appears to be moving closer to the Romance series, something I consider a good thing. Nobunaga's Ambition has always tried to tell a story, even if it is a somewhat malleable one because of your role in it. However, as much as I loved the series in its earlier years, the series did not always do a good job of conveying that story. It forced me to research the Sengoku period on my own to learn about these names that were part of a bigger picture that I understood - but I always wanted to get to know the characters better. I think it is important to understand the wars that comprised that period of time, but equally important to make a connection with the people who give it context and Nobunaga's Ambition has made great strides on that front in its most recent releases. Item Reviewed: Retro reflections: Nobunaga's Ambition then and now 9 out of 10 based on 10 ratings. 9 user reviews.